Last year when he was given the job of piloting Boeing's Commercial Airplane division into the next generation of aviation, Ray Conner told reporters he was "really excited" - and why not? The company was selling airplanes like hot cakes matching its dreamy aspirations with real Dreamliner-building capacity at the company's second assembly plant in South Carolina. Those happy comments at the Farnborough Air Show in 2012 must seem like a distant memory now as Conner maneuvers through the turbulence created by a questionable battery design, assembly lapses and technology glitches. Unhappy customers are issuing error messages about the airplane the company calls "game changing." Two Boeing customers who have been pretty vocal about their displeasure with the way the game is being played are LOT Polish and Norwegian. Like the other Dreamliner customers, these two took a hit when the US and European safety authorities issued an airworthiness directive that put the Dreamliner out of service from January until April of this year. This followed mysterious thermal events of a still undetermined origin on the batteries of two Japanese 787s. The night the planes were grounded, LOT was about to begin a big inaugural flight party from Chicago to Warsaw. Guests were ready to board the plane when the news broke. 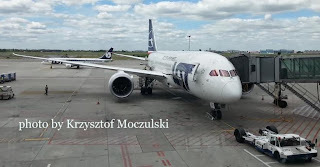 Even though LOT means "flight" in Polish, these days, poor LOT, seems more like the Biblical character of the same name the way the problems keep on coming. Already in financial difficulty before the 787's arrived, the Dreamliner has just added to their trials. On July 25th, LOT officials arrived at Boeing in Everett, Washington to take possession of their 5th Dreamliner, tail number SP-LRE seen in the photo on the right. Only when they got there, the plane was not ready to fly. Not even close. It took 4 more days before the company could get the aircraft home to Poland. Two months earlier, LOT took possession of SP-LRC without realizing that on it and SP-LRB, the one before it on the assembly line Boeing failed to replace engine fuel filters after flight testing. You can read more about that in my previous post, here. 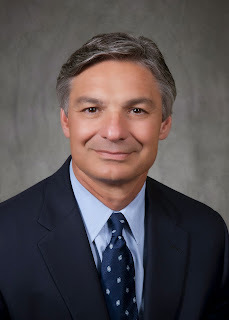 Well as you can imagine, LOT's boss, Sebastian Mikosz is now more energized to push Boeing for financial compensation for this and other interruptions in the airline's service on routes to Toronto, Beijing, Chicago and New York. The number that will satisfy the company has been reported from between $15 and $30 million. Today, LOT boss, Sebastian Mikosz sat down with Conner in Warsaw to go over these numbers again. When he's done in Poland, Conner's next European stop is Oslo where he can expect a similar "What the F?" question from executives of low cost carrier, Norwegian. "We are not happy about the operations of our two Dreamliners," company spokeswoman Asa Larsson told me. It's an attitude change from those days before the company actually took possession of two 787s. 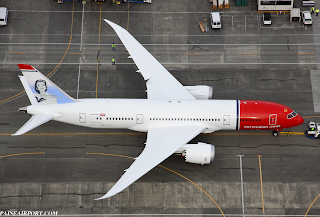 When the plane was grounded in January over those battery mishaps, Norwegian boss Bjorn Kjos assessed the problem as "minor". He was wrong about that, but considering how important the fuel-efficient little wide-body is to Norwegian's business plan, he may have felt optimism was the best course. Optimistic is exactly how Ray Conner started out last year. How quickly things have changed.